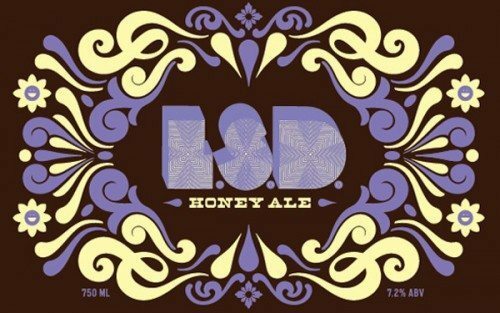 The Washington Times and CityPages claim that TTB recently rebuffed a Minnesota brewer, in its efforts to hint about LSD on a beer label. In doing so, the CityPages article took a few tough shots at TTB, calling them a “bunch of unchill tightwads,” “notoriously persnickety,” and describing the anatomy of people who work there, in an even less flattering way. But if the label at issue looks anything like the above, why should a government agency give it a thumbs up? What’s the point of a review process, if it’s so porous that an LSD label would go through? By contrast, this one looks to be the version that did go through, and I really don’t think it’s so bad, or such a gross imposition on free speech. This seems like a good balance; the approved version certainly gets the point across, in a slightly more subtle way.